New Zealand is becoming an increasingly desirable place to holiday. At its current pace, the tourism industry looks like it will shatter its 2025 target of being a $41b industry (as targeted by Tourism Industry Aotearoa). A key component of this target is the spending that visitors do while holidaying, particularly international visitors. For the year ending June 2018, international visitors spent $11.7m in New Zealand, up 10.4% from the previous year (source: MBIE Monthly Regional Tourism Estimates). While international visitor spending in NZ is growing, it is driven by increasing visitor numbers, rather than by visitors spending more while in New Zealand. In fact, the opposite looks to be true. Marketview data shows that the amount spent per international visitor dropped 1.1% last year, and dropped 4.8% from 2 years ago (backing up a similar sentiment to MBIE’s International Visitor Survey). The Tourism Industry has rightly targeted the need to get higher value visitors. They have also targeted seasonal and regional dispersal to help with the strain on infrastructure in some regions. While this sounds like a good suggestion, let’s see what the data shows. Spending figures from Marketview reveal that not only is NZ seeing less visitors over the colder months, the visitors that do come over this period are spending less. 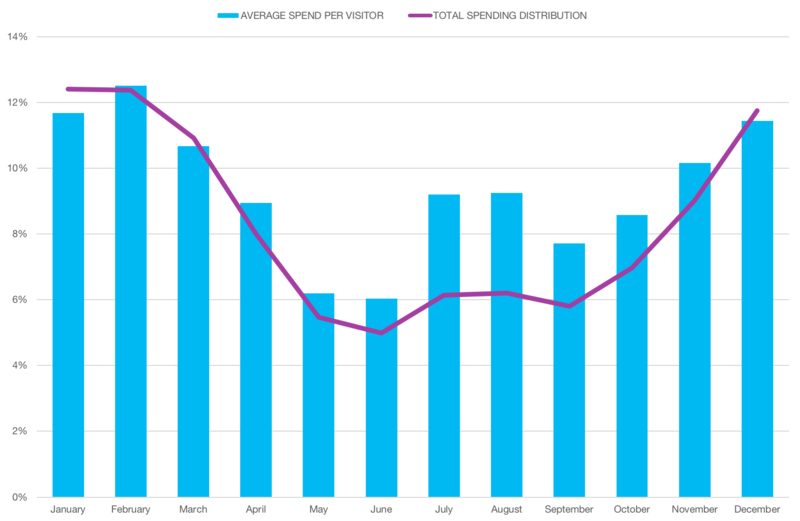 In this graph we have compared spending per visitor (depicted in the blue bars) and compared with how visitor spending is distributed over the year (purple line). Interestingly, not only does less international visitor spending occur in the cooler months the visitors who are in the country during this period spend less, on per person basis, perhaps a result of avoiding the peak season pricing of many holiday destinations. Summer is still the peak time for international visitors, placing strain on businesses and infrastructure. 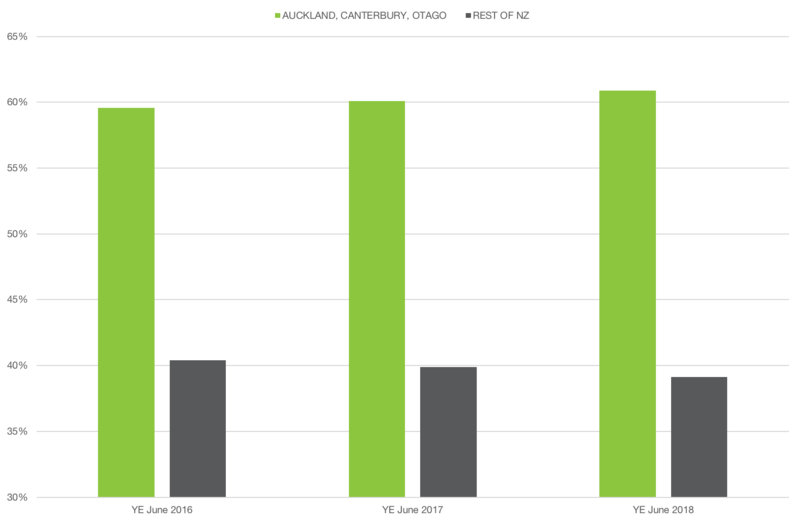 In this graph we’ve looked at how transactions are made in the three major visitor regions compared to the rest of NZ, as an indicator of where the demand is. Three years ago, the major regions accounted for the large majority of international visitor transactions, a share of 59.6%. Last year, this share has actually risen slightly, to 60.9%, proving the popularity of these hotspots is not waning. Our figures indicate increasing popularity doesn’t necessarily equal increasing benefit for NZ businesses. Visitors are actually decreasing their spending per person, while in NZ. Simply attracting visitors in winter isn’t the answer, as visitors spend less per person in the cooler months. While there is a need and intent to get visitors more dispersed throughout the country, it isn’t happening substantially yet. 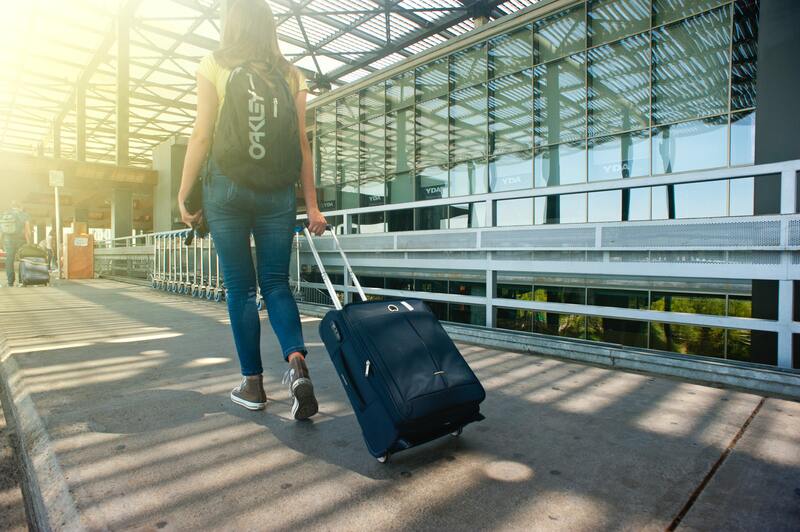 The New Zealand tourism industry is facing some ‘good’ problems – we are becoming too popular, and while the growing cash injection is great for many, this is causing a strain on infrastructure in many parts of the country. To help regional authorities ease this strain, the Government has recently approved a $35 visitor levy for visitors of most countries, likely implemented mid-next year (additional to the border levy). This is forecasted to raise $80m per year for help with regional infrastructure and conservation needs. Will potential visitors be put off by this extra expense, and will this mean visitors spend even less while they are here? Or alternatively, will this just mean we have a higher concentration of high-value visitors? We will be looking with much curiosity if the extra $35 means a drop-in visitor numbers and/or less disposable spending money for the visitors who still come.